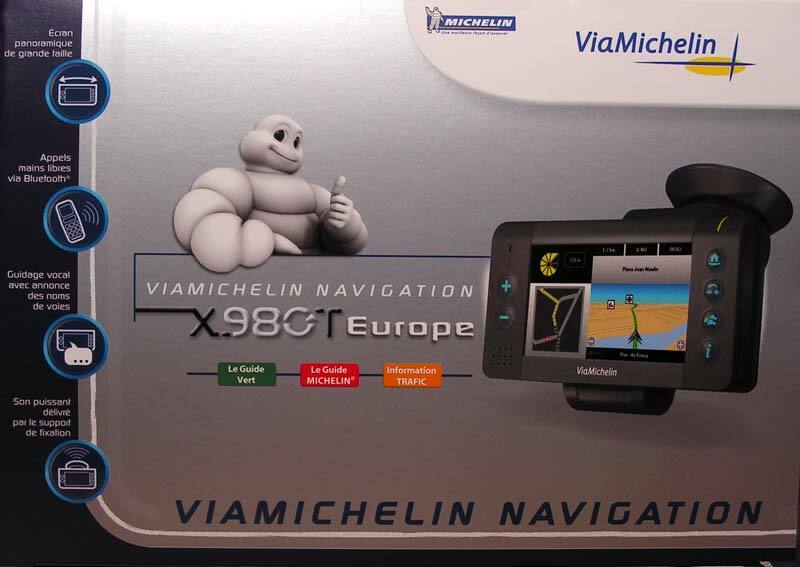 ViaMichelin X980T proposes a system of Navigation portable close with employment, complete and without option or expensive accessories. Thus to profit from the infos traffic antenna TMC is included/understood in the pack without unspecified subscription. An end of wire sometimes invoiced on other competing products at the ransom price or sometimes requiring to use a GSM Data expensive. . The number of POI (points of interest) is important and the X980T is not summarized simply with a help with navigation but it appears a rich and varied guide. It is not thus necessary any more to know the precise address of a place but it is enough to seek a POI (Administration, Services, Shops, places tourist or cultural) while seeking by city or more quickly by postal code. - a SD card 2Go comprising the chart of Europe and many preloaded POI (Administrations, Services, Shops, Camera Speed, Tourist and Cultural sites) whose updates on Internet site ViaMichelin are free. - an antenna TMC allowing to receive the infos traffic without subscription. - an attachment unit for car solid and having a additional speaker. - a DVD-ROM in order to install the software of synchronization with PC and the software "Content Manager" to manage for example the POI. - a light cover of protection. - a fast handbook of starting multi-language, complete instructions being to download on Internet site of ViaMichelin.